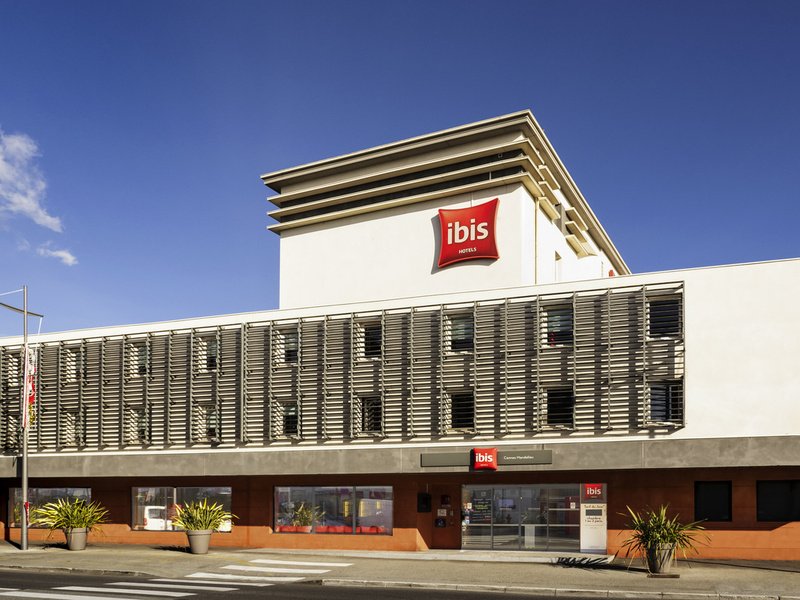 The entire team at the ibis Cannes Mandelieu hotel join me in welcoming you. From the hotel, explore the sandy beaches of Mandelieu 5 min away and discover the Esterel Massif and its panoramic views of the Mediterranean. Ideally situated in the center of Mandelieu in the Esterel Mountains, 55 yds. (50 m) from the Palais des Congrés, the ibis Cannes Mandelieu hotel has 96 air-conditioned rooms. The hotel is easily accessible by highway A8 and there is free public parking adjacent to the hotel. The ibis Cannes Mandelieu is perfect for business travel, family vacations or sporting holiday. Just 15 minutes from the hotel you can enjoy the beaches of Mandelieu, the Palais des Festivals and Cannes city center. Mandelieu-la-Napoule, the mimosa capital, is ideally situated at the foot of the Estérel Massif and the gates of Cannes and its famous Palais des Festivals. Come and enjoy our new unlimited buffet and give in to temptation! Come and relax in our bar. People gather at the ibis bar at all times of the day for a bit of me time and to try our snack menu.